The innovative structure of universal impact socket allows users to widely swing and smoothly move at a maximum angle of 20. The torque or hardness all meet the standard. The material is CR-MO steel for long lifetime. 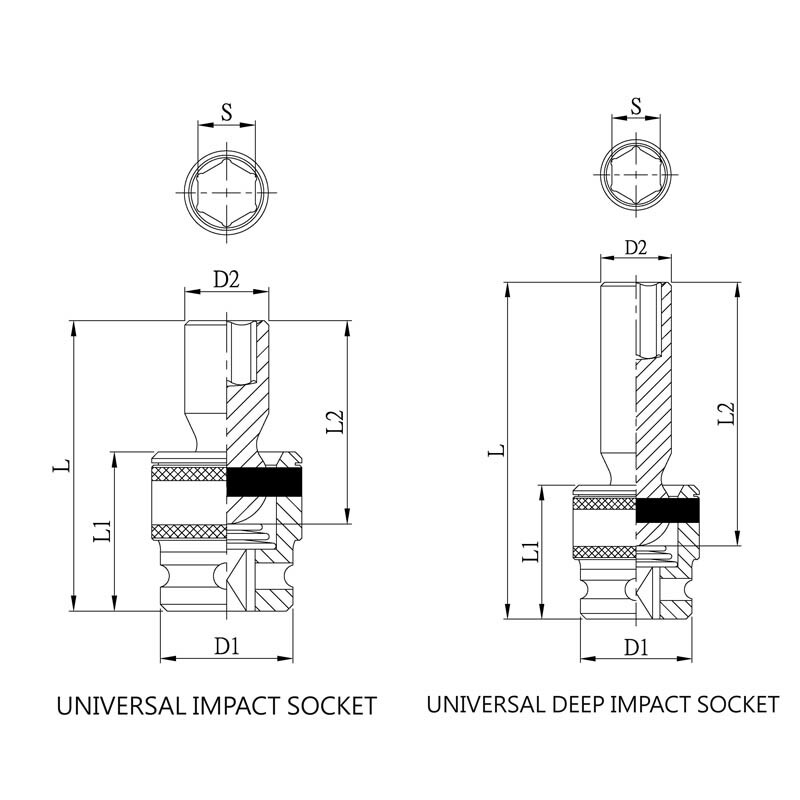 In addition, “color ring” of universal impact socket help not only these products look different but easily be categorized through sizes.